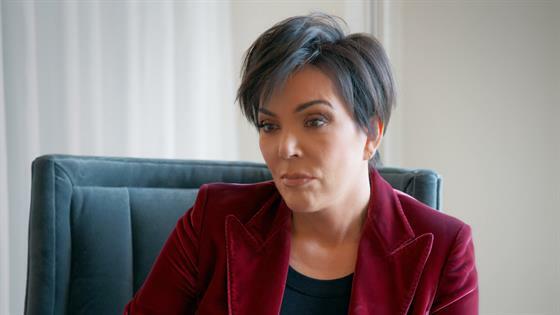 Kris Jenner is lending her resources to a very important local cause. In this clip from Sunday's all-new Keeping Up With the Kardashians, Kris meets with Justin Mayo the executive director of the nonprofit organization, Red Eye, who has a big project he wants to get Kris involved in. "He was given the keys to the Watts Community Center which is a risk of being shut down," Kris tells the camera. "He wants to keep it open and make a place for all the kids in the community to go." Red Eye, which has been mentoring kids in the Watts housing projects for a little over 12 years, hopes to create a safe space for kids in the area. "The average age of someone there is 21 and the largest group of people living there is the age group of 10 or younger," Justin explains to Kris. "So basically it's kids that are raising kids out there. Only 2.9 percent make it to college and over 50 percent drop out of high school. Police statistics say there's 7,000 gang members within two miles of that specific location." Justin shows Kris some photos of the run-down community center which he plans to renovate and revive. "Like one of their basketball hoops inside the gym, it was shot out three years, it's never been replaced," Justin reveals. "There's like mold growing on the walls. I see mice crawling around. They have a little kitchen, the kitchen's falling apart. And we gotta get them a better computer lab." "I'm envisioning not just a community center, but actually something that's gonna empower them," Justin adds. The pictures have Kris thinking that an outdoor play area may be a great addition to the community center as well and Justin's on board to make that happen and much, much more. "There's endless possibilities. These kids are some of the most incredible, genius kids. We just gotta give 'em an opportunity," an emotional Justin maintains. See Kris learn about this important cause in the clip above.